Discover an alternative side of Miami through the eyes of its contemporary artists on this guided, 5-hour art studio tour in Downtown Miami. 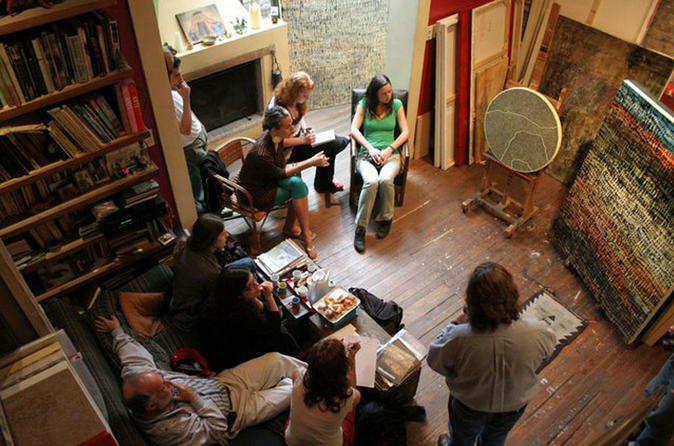 Enjoy a unique opportunity to meet artists and purchase works, in the intimacy of their work space. Move beyond the typically anonymous gallery or museum encounters. This tour includes a catered reception and Miami hotel pickup and drop-off. On this 5-hour tour, take the opportunity to see what the artist is working on, ask what inspires them, and/or hear the story behind any piece that is of particular interest. The possibilities for dialogue are infinite. Plus, the tour is led in English, Spanish, or Portuguese to ensure personalized, professional attention throughout. After a Downtown Miami hotel pickup, travel by private transportation to the studios of up to four artists, and end the tour with a catered reception to view the rest of each collection, socialize, and complete art purchases, if desired. This tour is aimed at bridging the gap and deepening the connection between artists and their audience by offering an insider’s look at contemporary art. It's the perfect opportunity for all tourists, collectors, curators, and art enthusiasts alike to have an unforgettable experience.